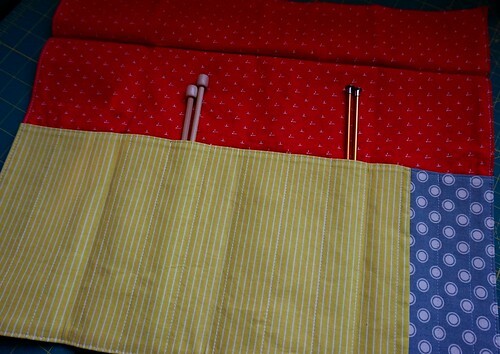 If you know any knitters or crocheters, this needle organizer is a perfect gift for them. It’s super easy too, and the smaller size means they can toss it in their knitting tote and it won’t take up much space. 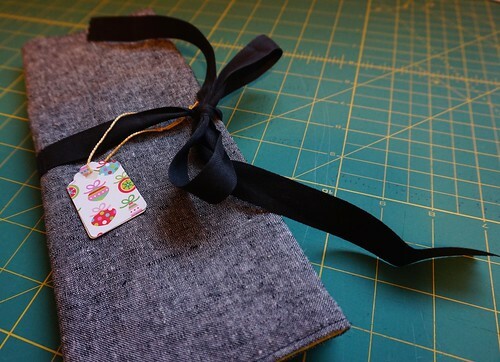 Plus, you can easily use leftover fabric for it! Another thing is this can be very customizable, sewn in a variety of sizes, any number of pockets, add zipper pockets, really, whatever you think your knitting friend might like. I’m going to keep it simple here though so you can see just how nice and easy a gift this is to make. 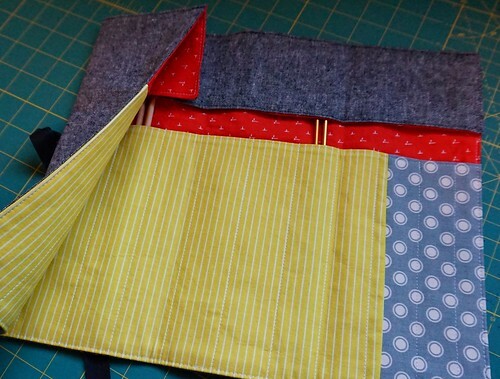 Cutting Recommendations – For the Inside Fabric, you will need to decided what type of knitting needles (straight/circular/dpns) or hooks this project is for. 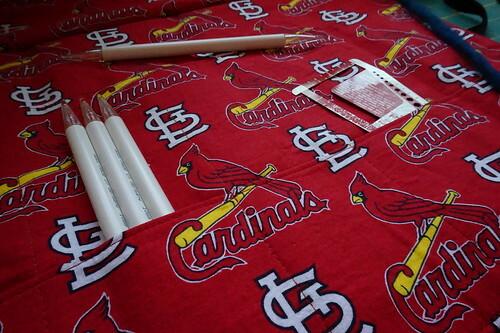 If you’re making it as a gift, a single pocket for straight needles or hooks will probably be fine (the pictures with the green and red fabrics has a single pocket), unless you know the knitter you’re sewing for mostly uses circular needles, then you can make the case for circular needles with another pocket (the pictures with the red Cardinals fabric has double pockets). This is completely customizable, so you don’t have to use my measurements, but they’re here for a very generic needle organizer. For double pockets for circular needles, cut 2 shorter pockets (they’ll need to be shallow), I would say around 5″ tall by width (here’s it’s 17″), and cut two of them, in addition to the main lining fabric piece at 17″ wide and 18.5″ tall. I’ll provide a tutorial for that one soon. 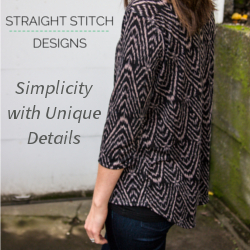 I have the downloadable pdf instructions here for a single pocket. The size is different under materials, but the instructions are the same. 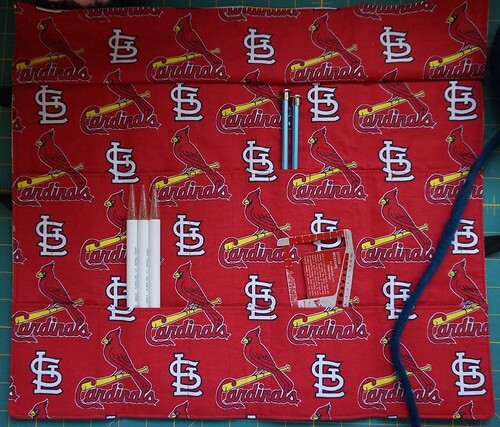 The pictures at the top of the instructions show a double pocket needle organizer (straight needles in the back, circulars in the front), but the instructions were simplified for a sewing class I was teaching, so they’re for a single pocket organizer. Can you believe the ladies in my class finished this in just a few hours?! A quick holiday gift for knitters! One can never have too many needle organizers!